As public uproar over the HIV Registry data leak rages on, many Singaporeans are asking why the Ministry of Health (MOH) did not inform the public that confidential information from the HIV registry was leaked, years ago. Former Non-Constituency Member of Parliament (NCMP) Gerald Giam, a member of the Workers Party (WP), has joined the chorus criticising MOH over this latest debacle. The confidential records are now in the illegal possession of a foreigner who has been deported out of Singapore after being convicted of numerous fraud and drug-related offences. The foreigner gained access to the HIV Registry data through his boyfriend, a local medical doctor. 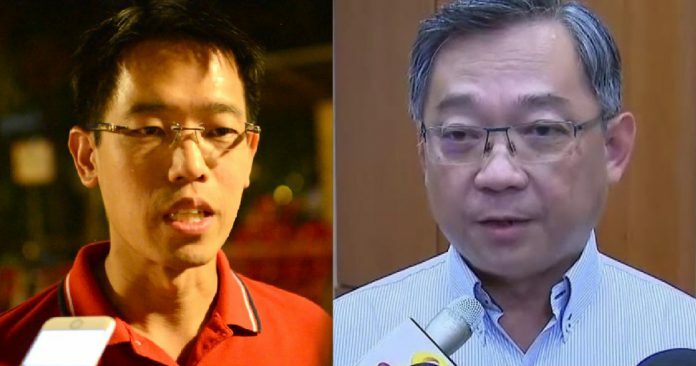 Many Singaporeans were outraged when MOH revealed that it was alerted that Brochez illegally possessed confidential information from the HIV Registry, way back in May 2016. While MOH lodged a police report and “all relevant material found were seized and secured by the Police,” the public was not informed of this discovery. Two years later, in May 2018, after Brochez had been deported, that he still had part of the records he had in 2016. Although the Ministry contacted the affected individuals, the public was, again, not informed of this discovery. About eight months later, on 22 Jan 2019, MOH found that Brochez could have illegal possession of more information from the HIV registry and that he had disclosed the information online. Days after this discovery, MOH finally disclosed the incident to the public. Asking why it took MOH more than 2 years to inform affected individuals, ex-WP NCMP Gerald Giam also questioned how a doctor can download the records of 14,200 patients since he is an end-user of the system and not an administrator.